On the verge of a nervous Brexit breakdown? "A Brexit deal may never be reached," according to the EU's chief Brexit negotiator on the morning after the (summit) night before. The accord was almost 90% there, mused Michel Barnier in an interview on French radio on Friday. But, he said, because of the impasse over the Irish border, negotiations could break down. How should we feel about that? Reassured that so much has been agreed? Anxious about the looming threat of the UK crashing out of the EU next March with no trade deals in place with anyone, anywhere? My advice, for the sake of all of our health, is to take a bombastic step backwards and to breathe. At this late and highly pressured stage of Brexit negotiations, we in the UK or of the UK, tend to scan and scour any and every comment EU leaders make. It's an exhausting rollercoaster ride if you choose to get on it. Over the last 15 hours we've heard Mr Barnier sounding pessimistic(ish), Jean-Claude Juncker, the head of the European Commission, saying he's "convinced" there'll be a Brexit deal, and European Council President Donald Tusk declaring that a deal is close but that it's more of an "emotional rather than a rational impression". France's Emmanuel Macron jabbed his finger at the UK, prophesying that the Irish issue would never be solved without political concessions from London. And UK papers are split over whether Angela Merkel played good cop or bad cop over Brexit at the summit. Confused? You needn't be. It's all part of the same picture. We know that. The UK leaving the EU without some kind of reciprocal arrangement in place would be costly and chaotic for all involved. As we get closer to the end of the two years of exit negotiations allowed under EU law, EU leaders are mindful about making positive-sounding statements to boost Theresa May. They know she has her back against the political wall in Westminster. We also see the EU making more concessions now, to help nudge talks to a successful conclusion. I'll come back to that in a moment. demanding a legally binding guarantee to avoid a hard border between Ireland and Northern Ireland whatever the economic relationship between the UK and the EU after Brexit. This is the so-called backstop. As Mr Barnier said on Friday, and as we've discussed in this blog many times, the Irish border guarantee is THE issue that could trigger the failure to agree an EU-UK exit deal. EU leaders have understood the prime minister cannot unquestioningly sign up to the EU proposal: that as a fallback scenario and in the absence of any better, workable solutions, Northern Ireland would stay in the European customs union and parts of the single market necessary to avoid border checks on the island of Ireland. Media captionTheresa May: "There is a lot of hard work ahead, there will be more difficult moments." Theresa May says that would break up the United Kingdom. So, the EU is now open to working on the UK counter-proposal (which it previously rejected): that the fall-back scenario would involve all of the UK staying temporarily in a customs union with the EU until a post Brexit "friction-free" trade relationship is established between the EU and the UK. This would ensure an all-UK solution to the Irish border issue. This is fraught with flashpoints for both sides, which is why, although EU and UK negotiators are working frantically on the Irish border issue, it could still all end in no agreement in Brussels and in the UK parliament. There is no time left to negotiate a bespoke EU-UK customs union - temporary or otherwise - before exit negotiations end under EU law (two years after they started). The EU will not accept as an Irish border guarantee a solution (a temporary customs union) that does not yet exist and that will need to be negotiated after Brexit. That, it says, would be an empty guarantee. So the EU says the divorce deal (also known as the Withdrawal Agreement) that both sides hope can still be signed this year will have to include its Northern Ireland-specific Irish border backstop (which Theresa May said she'd never sign up to) as it is the only ready-to-go, so called "all-weather" guarantee. BUT, as a sweetener to help the bitter medicine go down, the EU could include a sentence saying work would start as soon as possible on a UK-wide customs union that would supersede plans to keep Northern Ireland only in the customs union. There is also a suggestion that has taken the UK media by storm, that the transition period following Brexit (in which the UK stays in the customs union and single market, so the Irish border is not yet affected) could now be extended by a year to pretty much ensure that the temporary UK-wide customs union would be ready in time for the Northern Ireland specific backstop never to be used. And anyway both the EU and UK emphasise at every opportunity that the backstop is never supposed to be implemented full stop. It's an in-the-back-pocket, worst-case-scenario fall-back position. That the Political Declaration is not legally binding, whereas the Withdrawal Agreement containing the Northern Ireland specific backstop is. That the prime minister promised to take the UK out of a customs union with the EU, so it's questionable now for her to voluntarily enter back into one after Brexit, especially with no fixed end date of when the UK would, finally, leave it. That agreeing to stay in the transition period - also known as BRINO (Brexit in name only) for an extra year, in addition to the 20 months previously agreed, is now a "Hotel California Brexit" - where you check out but never leave (and keep paying billions into the EU budget). That offering to stay in a customs union with the EU until a permanent close EU-UK trading relationship is agreed after Brexit still means that there will have to be regulatory checks between Northern Ireland and the rest of the UK. A customs union is not enough to obviate the need for any checks at all. That the EU has said entirely frictionless trade between the EU and UK will never be possible if the UK proceeds with its declared intention to ultimately leave both the Customs Union and the European Single Market. Frustration is growing on the EU side that "whatever they suggest" is "never good enough" for the UK. One diplomat grumbled to me that the suggestion of extending the transition period was immediately jumped on in the UK as an attempt by the EU to imprison the UK forever. "Why would we want to be stuck in Brexit limbo for any longer than necessary?" he asked with more than a note of desperation. 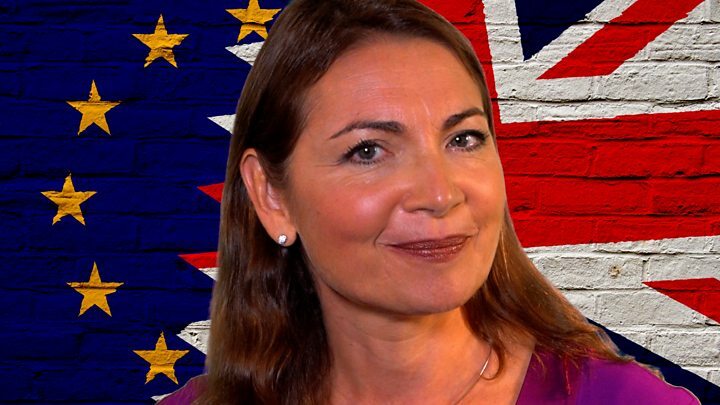 "All our [EU] countries have to spend our taxpayers' money on Brexit, that we never voted for. 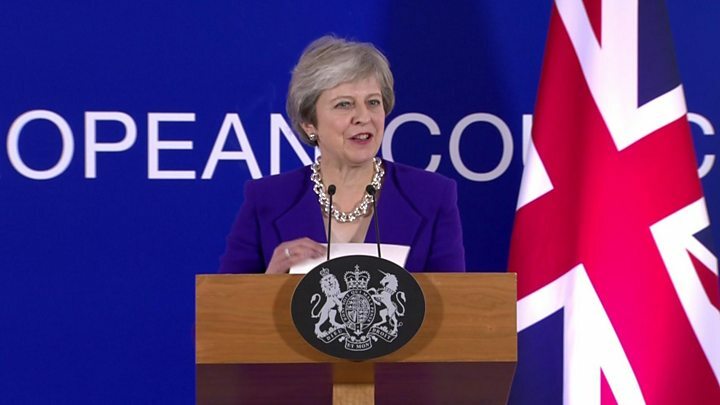 No-deal contingency planning, government departments dedicated to Brexit, it costs a fortune in time and money that could be spent on something far more constructive for us." 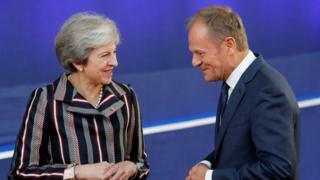 Quite aside from the Irish border, a deep concern for EU leaders still hoping for a successful Brexit deal, are the shifting sands of UK politics. They know agreeing the terms of the UK's exit in Brussels is only half the battle.